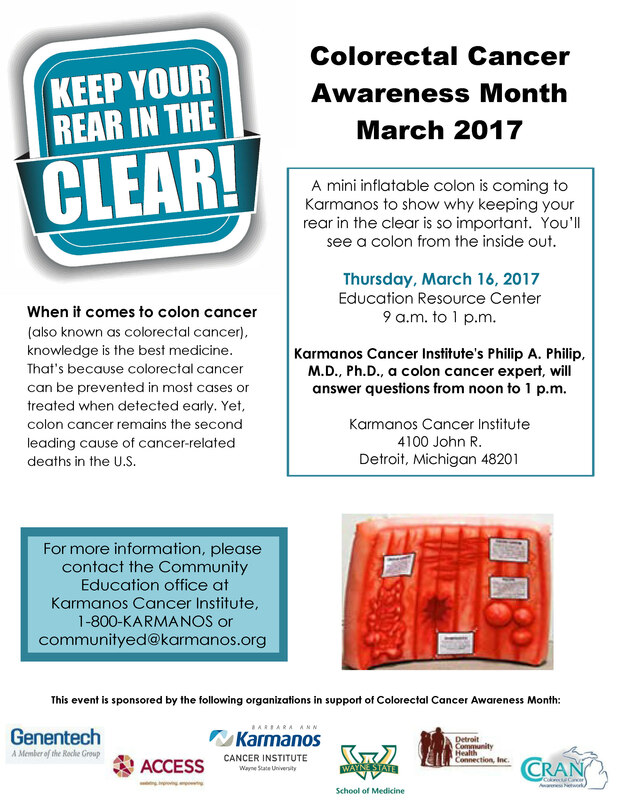 March is colorectal cancer awareness month, and we hope you will join us for this educational event at the Karmanos Cancer Institute. Informational materials will be provided, and Dr. Philip A. Philip will share important insight to attendees about this debilitating disease from 12:00pm – 1:00pm. Contact Hiam Hamade for more information at hhamade@accesscommunity.org or 313-216-2206 .